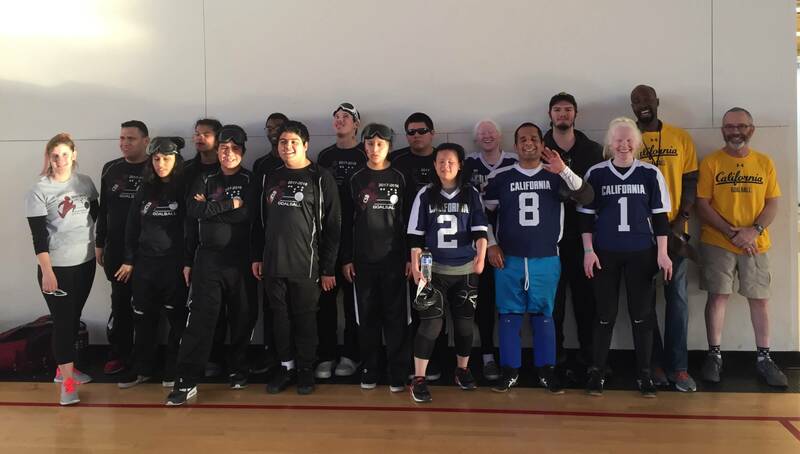 On Tuesday, February 13, the UCB Goalball Team in collaboration with BORP Goalball went to the California School for the Blind (CSB) in Fremont to play the CSB Goalball Team. The CSB staff and students showed tremendous support for their team with a pep rally and 100% attendance for the rally and game. Spectators crowded the gym and the game was broadcast into the CSB multi-purpose room for those who couldn’t make it to the gym. The CSB players showed big improvement since games at BORP on December 13, 2017, and fired up by their home court crowd kept the game close into the 2nd half. At that point, the CAL players asserted themselves and used their superior defensive teamwork and offensive firepower to pull away from the young CSB-ers. 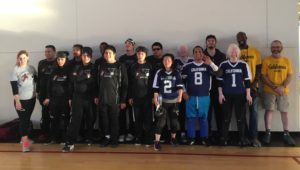 Thanks to CSB Coach Caiti O’Mallor and all the players, students and staff at CSB for a great day of goalball! Thanks to the CAL/BORP team for making the trip so successful and to BORP for the transportation.